When I was on Waitakere City Council I recall clearly a meeting held early on when the staff produced a glossy brochure proposing a shiny new Council headquarters. My immediate response was that it was a waste of money and would upset local ratepayers. I have never been into flash premises. My law firm is located in a perfectly comfortable and spacious 1950s building in Glen Eden. The cost is reasonably modest and the premises are functional. I believe that Council should apply the same ethos. The shiny new Council HQ was justified by a couple of major reasons, consolidating all council activities onto one site would result in reduced travel times and allowed for the sharing of resources and it would result in economic rejuvenation for Henderson. The first is a valid reason although somewhat overplayed in these days of Skype and video conferencing. The second is not. All the shift would result in is that Council employees shopping in Henderson rather than on Lincoln Road which is close to where the original Council chambers were. The spend would be transferred rather than a new spend generated. The original proposal was supported, just, by the Council and I voted against it. The proposal eventually failed when the resource consent requirements of the chosen site proved too onerous. Then a second proposal was advanced. This was cheaper than the first and the build would allow for a significant regionally paid addition to the Henderson Train Station. The Council chambers itself would be placed next to the railway line. The reduced cost and the commitment to public transport persuaded me to support this proposal. These memories flooded back to me when I read about problems with Auckland Council’s new premises. I suspect the same arguments were used, consolidation on one site with various efficiencies being used no doubt to justify the expense. But clearly the negotiation of the purchase of the building was sub optimal with the Council facing a $31 million repair bill for granite panels attached to the building which are in danger of dislodging and falling and only a $4.2 million contingency being negotiated in the original purchase. 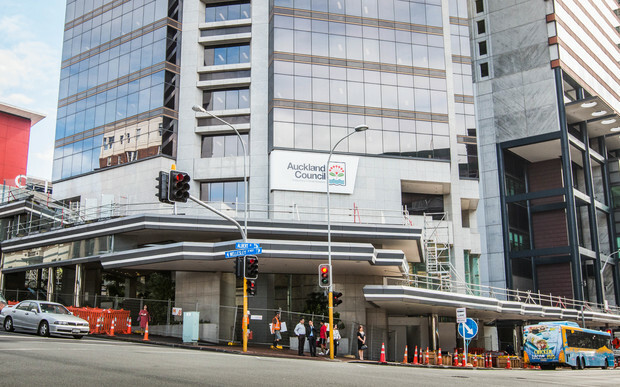 Major repair costs were not revealed to councillors before the purchase of the ASB Tower for a new council headquarters, says councillor Chris Darby. He said the company that did due diligence on the building uncovered looming costs for a complete reseal of the whole stone facade and at least 50 per cent of the stone facade had to be refixed to the building. On Sunday, the Herald revealed that the cost of cladding repairs has blown out from $4 million to an estimated $31 million. The huge bill is for essential repairs to heavy granite slabs on the 31-storey building. It has been proposed to remove the granite slabs on the building’s columns, check the fixtures behind them and replace the slabs with a lightweight composite material. Below podium level, the existing slabs will be reused. You have to wonder why the Council did not approve a full refurbishment of the old Grey’s Avenue building. The cost of earthquake strengthening and asbestos removal was estimated to be $70 million but the building was functional and had a charm that the ASB building lacks. The ASB building cost Council $104 million to purchase and a further $24 million to fit out. And there are plenty of civic buildings throughout the region that are under utilised including the Henderson Council Chambers where it is rumoured that Auckland Transport is moving out. I am all for quality civic buildings such as art galleries, train stations and libraries. But for a working environment I believe that functional rather than extravagant is appropriate.